On the first day of autumn we gathered at the National Space Centre for an out-of-this world adventure. Once Josh Barker , on the staff at the Space Centre, had demonstrated how to create our very own mini-comet, complete with sublimating tail, we were raring to start. Siobhan Logan transported us in Ra’s own vessel away from the sheltering warmth of the great goddess Nut, into the dark dangers of the frozen underworld and overworld that join seamlessly to form the expanding universe. We sped far off past Benbon and Mars to dark-hearted, silver-locked Churyumov-Garasimenko that flies basking in the rays of Ra, allowing its unbound, luminescent hair to trail long and wide behind all the time singing the oscillating songs of space. We watched frail Philae float down from its winged steed, Rosetta. We winced as it stumbled and bounced into debilitating shadows that belong to Seth. We held our breath as Philae’s voice faded into the silence of Death. Had Seths’s serpent, Apophis finally triumphed over its twin, Mehen, pledged to the service of Ra? 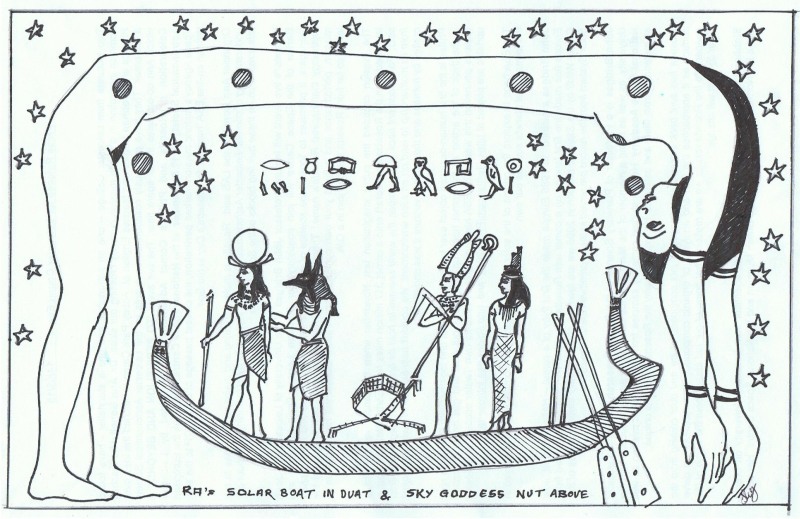 But Ra’s rays prevailed and Philae struggled into life in time for the great Perihelion. Then Siobhan raced us back to our own terrestrial nest where Professor John Bridges introduced us to the logical mysteries of rigid arithmetic. We stumbled home clutching Siobhan’s exquisitely crafted scrolls. Thanks for the review Margaret. So poetic. And you really know your Egyptian myths!